Our reinforced heavy duty plastic bollards offer a way to secure your premises with minimal maintenance required. Define your property boundaries and deter traffic with this attractive solution. Long lasting plastic bollards are commonly used in traffic management and parking areas, but another use for bollards is for asset protection. Any high-risk properties should consider heavy duty bollards to protect against accidental and intentional vehicle impact. Heavy duty plastic safety bollards are designed to withstand the elements. You will not have to worry about them rotting, splitting, cracking or needing repainting. This makes them a worthwhile investment for the long term security of your property. Give the experts at K-Line Commercial Fencing Perth a call for a free site visit and quote. We will be able to assess your property and advise where the installation of plastic safety bollards will provide additional security. 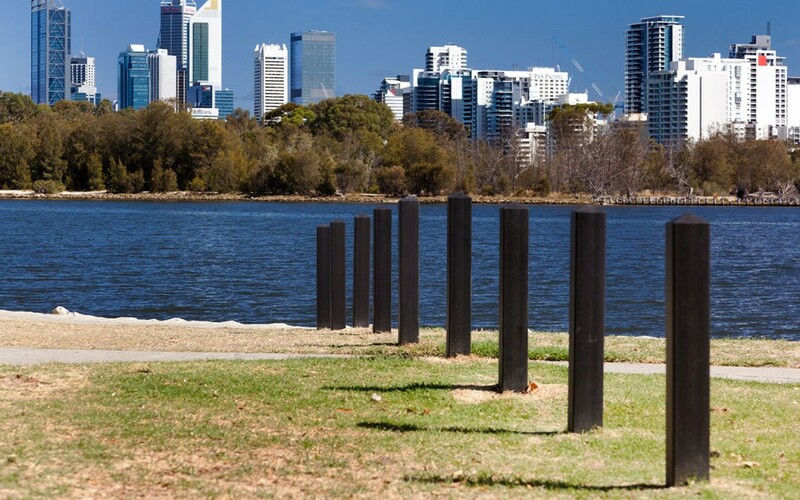 Looking for a long lasting plastic bollards? K-Line offer a range of plastic bollards that are robust and come in a range of configurations and colours.